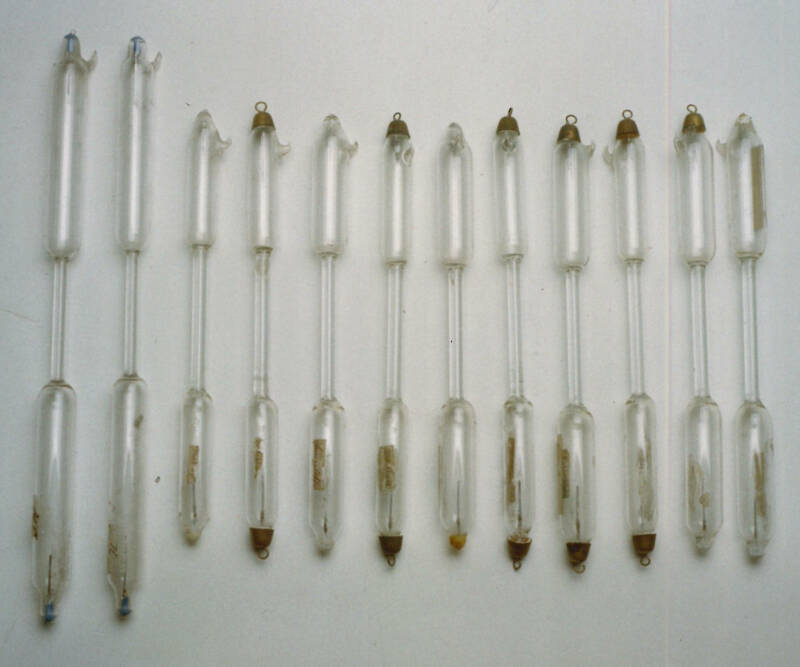 These twelve glass tubes, having different lengths and sections, were purchased by the Palermo Observatory in January 1882. They are common Geissler tubes, used to study electrical discharges in gases at very low pressure. Some tubes are devoid of the metal contacts at both ends, of the almost unreadable labels on which are indicated, in German, the chemicals in question, such as Sauerstoff, Kohlensäure, Zinkchlorid, Stickstoff. Bibl. : Foderà Serio, Chinnici 1997, pp. 132-33.